Our company performs all types of work related to the protection and maintenance of floors in perfect condition, as well as the restoration of floor surfaces, which allows to significantly improve their appearance, to extend the lifetime and significantly simplifies further cleaning. 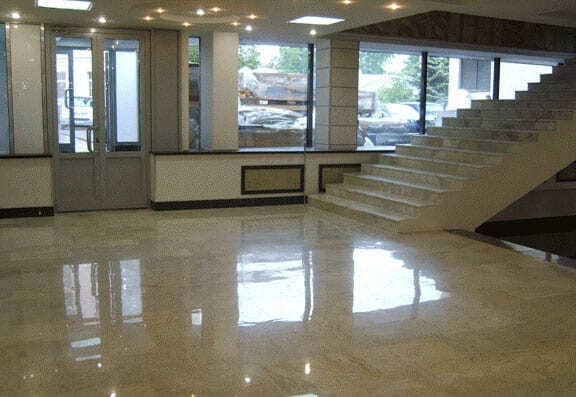 Marble, granite, ceramic-granite dalle and other kinds of hard floor require a deep cleaning, which is performed by using detergents and applying the protective coating. This also includes the qualitative chemical treatment of surfaces, polishing and grinding of floors, deep cleaning of floors. To remove stains and stable dirt there are used stain removers, chemical agent, shampoos, and special equipment, which allows to align the surface, to remove the scratches and restore the lost shine. This simple at first sight work, should be done by specialists, as even the smallest mistake in selecting chemicals or cleaning technologies can cause damage. The chemical treatment of hard surfaces includes deep cleaning, grinding and polishing, crystallization of marble, granite floor, ceramic-granite dalle, linoleum.